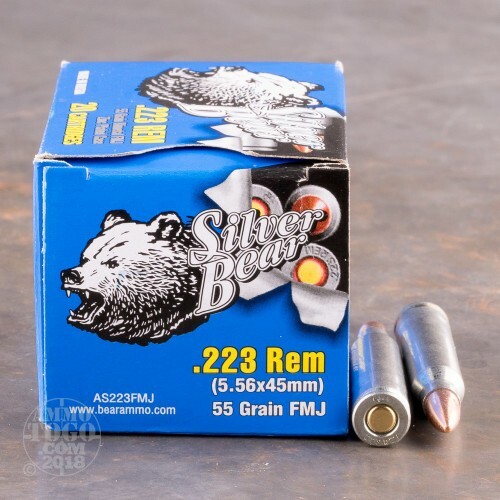 This is .223 Silver Bear 55gr. Full Metal Jacket Ammo. 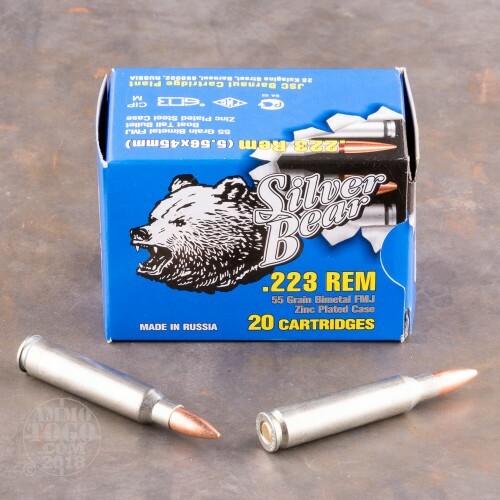 This ammo is manufactured by JSC Barnaul Machine-Tool Plant in Russia. Barnaul is considered to be the premier ammunition factory in Russia, and it supplies most of the ammo to the Russian Military. 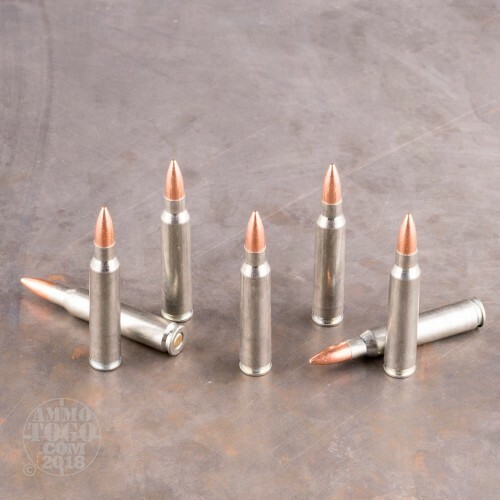 This ammo has a unique zinc plated steel case so it's incredibly economical to shoot, typically at a fraction of the cost of brass-cased ammunition. These steel cases are not ideal for reloading, however. 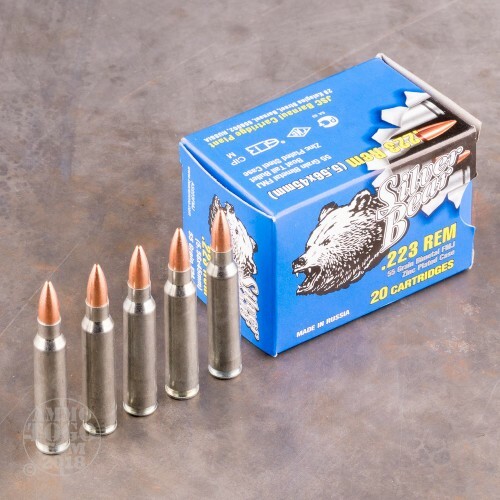 Since this ammo is zinc plated, it functions much smoother than any other steel cased ammo. This ammo is 100% non-corrosive. It comes packed in 20 round boxes with 500 rounds per case. Fired off 150 rounds over the weekend at the range without a hitch... nice grouping, will buy again! Great product, love it. Will be buying two more cases of 500 Rn also want a case of 1000 rn 45 cal thanks so much for offering great products.